Even though some believe that virtual currencies like the bitcoin are the “Wild West” of financial products, the SEC and CFTC both regulate aspects of this digital currency. Violations of the law involving investment offerings, bitcoin exchanges, and other activities may garner the attention of regulators because of the timeliness of the product and a desire to prevent individuals and business from taking advantage of the public in a new and popular area for currency transactions. 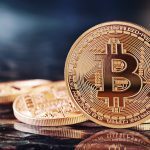 If you have information about misconduct involving Bitcoin, Litecoin or other virtual currencies, please contact a McEldrew Young attorney to discuss reporting the legal violation to the SEC and CFTC through their whistleblower programs. Bitcoin and virtual currencies do not yet have specific regulations by the securities regulators governing them. Instead, investors are protected when a company or individual violates a generic prohibition on unregistered offerings, ponzi schemes or price manipulation. The SEC has fined or otherwise sanctioned a few players in the bitcoin industry already. The SEC issued a fine for an unregulated offering in a bitcoin venture and the unregistered sales of securities paid for by bitcoins in a virtual marketplace. The SEC has also taken other measures to protect investors. It issued an investor alert regarding investment opportunities and Ponzi schemes using bitcoins. It will also regulate the new bitcoin ETF proposed by the Winklevoss twins. In November 2014, CFTC Commissioner Mark Wetjen declared at a bitcoin conference that he thought bitcoins can be considered a commodity under the definition provided by the Commodity Exchange Act and the agency would have the power to reach price manipulation in bitcoin markets. Later that year, Timothy Massad told the U.S. Senate Committee on Agriculture, Nutrition and Forestry that the power of the CFTC extended to digital currency derivatives. The bitcoin swap by TeraExchange was given as an example of a product within the CFTC’s regulatory authority. In early 2015, the CFTC also took public comments on an application for the first options market involving bitcoins. If approved, the derivatives venue would be run by LedgerX. Whistleblowers have become an increasingly important tool for law enforcement agencies. Without tips from individuals with non-public information, a company’s violation of the securities laws and fraud against investors may go unnoticed for years. In order to facilitate disclosures, the SEC and CFTC allow anonymous reporting and takes measures to protect the identity of its whistleblowers. The SEC and CFTC will pay eligible whistleblowers a reward of between 10 and 30 percent of the amount recovered from enforcement actions over $1 million. The programs were authorized by the Dodd-Frank Act in 2010. The SEC and CFTC whistleblower programs offer protection against retaliation to whistleblowers. 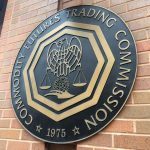 The CFTC protections start upon the filing of Form TCR. The SEC rules protect individuals earlier than the filing of the tip but some courts have declined to follow this rule and require contact with the U.S. Government. Bitcoin was the first crypto-currency. Satoshi Nakamoto, a pseudonym, introduced it on a cryptography mailing list in 2009. Bitcoins are initially secured by a block chain. Computer programs are available to unlock the blocks. This process is known as bitcoin mining. As bitcoins are unlocked, it becomes increasingly difficult to unlock the next one. Bitcoins can also be transferred between individuals or purchased on an exchange. The value of bitcoins exploded at the end of 2013 and early 2014. At one point, they were worth more than $1,000 USD. With the increased price came more attention. There was alot of media attention given to virtual currencies at the time. The price increase gave rise to a number of new companies by entrepreneurs and investors started actively investing in these companies. Litecoin’s website describes it a a peer-to-peer internet currency enabling instant payments with near-zero cost to individuals around the world. It is the most popular altcoin, second in popularity to the bitcoin. There are at least 100 alternatives to the bitcoin but only about 12 are valued at more than $1. Ripple, Darkcoin, Namecoin and Banxshares are a few of the more well known names among the options.